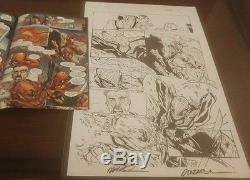 Up for sale is original art for The Superior Spider-Man issue number 14 page 12. 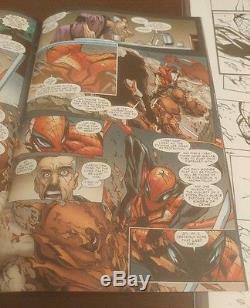 This is a beautiful action sequence featuring The Superior Spidey and J Jonah Jameson. The item "Superior Spider-Man #14 p. 12 Spidey Signed by Ramos + Olazaba" is in sale since Tuesday, May 02, 2017. This item is in the category "Collectibles\Comics\Original Comic Art\Interior Pages".s2012" and is located in Amesbury, Massachusetts. This item can be shipped to United States.